Golden Triangle Tour is the best option available to enjoy the complete glance of cultural heritage of royal India in a short span of time. The Golden Triangle Tour covers the three of India’s most famous tourist destinations- Agra, Delhi and Jaipur. It is the tour that on a single salver provides the guests with the slice of royalty of Rajputana, British and Mughal. The travelers can get a traditional introduction to India, especially to those who are visiting India for the first time. Golden triangle tour is the best holiday package that provides the best and inspiring cultural experience. This is the tour that covers the highlights of these three cities in the minimum time so that the visitors can get most out of their short trip to India. 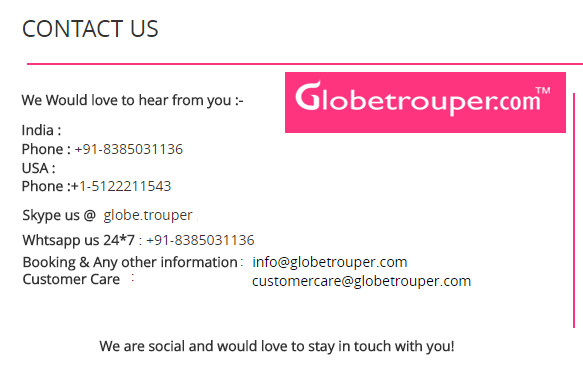 If you are planning for a trip to India then Golden Triangle tour is the best option that you can opt for and Globetrouper is their with its dedicated services to make your memorable.